As the venue for my first ever gluten free afternoon tea, Claridges Hotel in London has a special place in my memory. A gluten free afternoon tea hosted by Genius bread at Claridges Hotel in London was the first event I was invited to as a result of writing this blog. I love with the Art Deco style of the hotel (who wouldn’t) and it’s stunning Dale Chihuly chandelier in The Foyer. The chap I was seated next to at the event was fascinating (an investor to the Genius business) and the gluten free cakes and sandwiches were astounding. Any thoughts that gluten free food would be bland or unglamorous were banished that day. So when it came to choosing an afternoon tea for a special birthday treat for my Mum, reserving a table at Claridges was top of my wish list. At Claridges it’s possible to book a table for afternoon tea up to 5.30pm. We booked for 5pm. The perfect time as we were heading on to the theatre that night. Seated in the low lit Foyer we enjoyed the musicians playing nearby while we admired the Chihuly chandelier. The atmosphere was relaxed and the room had a lovely chattery buzz. Not in the least bit stuffy; people were well dressed but not OTT. (The dress code is elegant smart casual). And in a reminder at how popular afternoon tea is; every table was occupied. We started with a glass of champagne and our sandwiches were delivered with a flourish. Now call me weird but it’s usually the sandwiches I love most about afternoon tea. And these sandwiches were just marvellous. The gluten free bread was pillow soft. And the fillings. Oh my. They were all delicious but if I had to choose a favourite it would be the Dorrington ham with truffled Parmesan dressing and the Severn & Wye smoked salmon with lemon and samphire running a close second. Aside from the taste and imaginative, good quality fillings, what really impressed me about the sandwiches was that I had exactly the same as the gluten eaters. I had (a lovely) afternoon tea at the Lanesborough recently but my sandwich fillings were vegetarian. Delicious, but I’d have preferred to be served, as at Claridges, the same fillings as everyone else. Once our sandwiches and champagne had been demolished (yes they replenish the sandwiches if you would like and yes I did), we moved on to scones and pastries along with the tea choice. I’m a complete jasmine tea fan so I was keen to try the Claridges blend and it didn’t disappoint! The gluten free scones were spectacular! Not in the slightest crumbly and delivered warmed. Alongside the Cornish clotted cream, I liked the Marco Polo gelée they were served with. Although if I had one thing I’d have changed, it would be to have lemon curd with the scones. Is that sacrilege? I don’t know but I loved the lemon curd served with scones at the Lanesborough. My pastries in this photo are all both gluten and nut free. If you are only gluten free, I think your selection might be a little different. A final word on service. Just extraordinarily great. I realised after we left that I didn’t lift the tea pot once; my cup was constantly and seamlessly replenished, almost without me even noticing. At no point during our afternoon tea did we feel even remotely hurried or pushed to vacate the table for later guests. Perhaps this is a result of the 5pm booking, but I suspect we could’ve stayed (and I would’ve been happy to settle in) for the whole evening. If you are looking for a special treat, I could not recommend the whole afternoon tea experience at Claridges more highly. 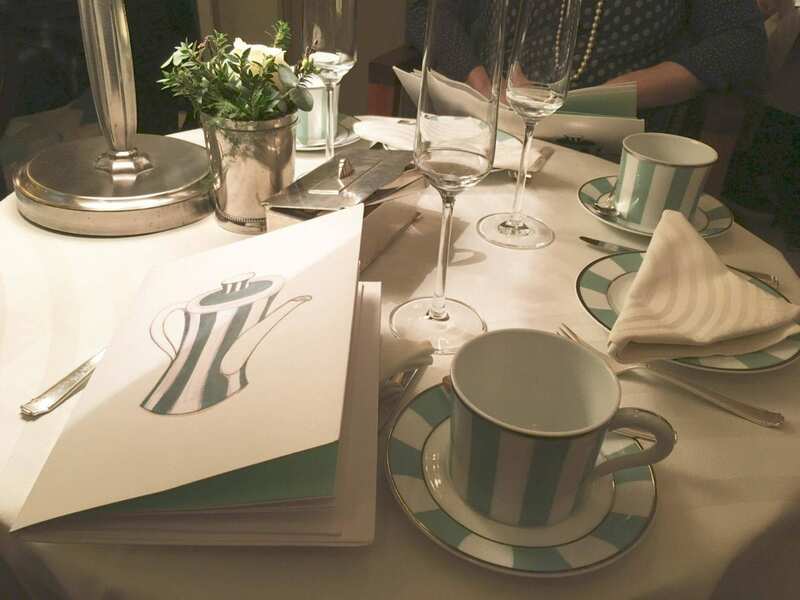 Top tip: Book as far in advance as you can, afternoon tea at Claridges is very popular. YUM! I’ve been chatting with a few friends about going for afternoon tea, so now I know exactly where to go. Thanks for sharing ?